I recently bought a DJI Phantom 3 Standard on sale and started playing obsessively with it, every day it wasn’t raining. This post is to share a little bit of wisdom I acquired during this period. Oh, I’m not aiming this post towards people looking for highest end gear and considering purchasing Inspire 1, but for ordinary Joes as well as hobbyist/semi-pro photographers and videographers who want to expand their arsenal and get their cameras into places which were never before accessible. This spring is a great time to buy your new UAV. Several companies released their new products with significant upgrades compared to their predecessors so you have great choice between latest and greates, and affordable last year models. I know buying latest and greatest gear is very tempting, but why would you do that if you’re buying your first drone which you’re very likely to crash, often? Believe me, most affordable Phantom 3 (Standard) will blow you away with the image quality and it’s controls. It does have only WiFi connection so it’s range is shorter than Lightbridge enabled models, but I still haven’t found that to be insufficient for my needs. At the same time, P3 replacement RC costs around $130, while Lightbridge controllers cost more than $500. DJI Phantom 3 Standard was originally sold for $799, then it dropped to $699 and held that price until they introduced the Phantom 4. It’s current price on B&H is $449!!! 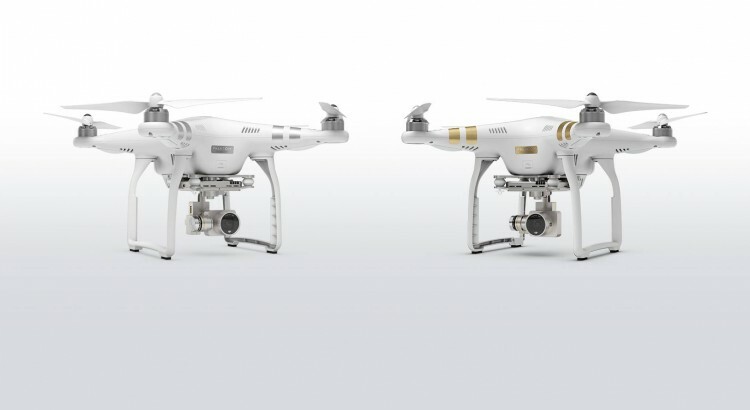 DJI Phantom 3 Advanced, originally sold for $999 can now be bought for $733 from B&H. DJI Phantom 3 4k, originally sold fo $999 can now be bought for $679 from B&H. If Phantom is to big and cumbersome for you, you don’t want to use dedicated RC and/or it does not fit into your travel bag and you don’t want to buy a dedicated carrying case/bag, there’s plenty of options among other brands. Granted, in my opinion DJI drones offer by far the best bang for your buck, but some of the others don’t fall far behind. Btw, I prefer buying my gear on B&H Photo and Adorama as they provide great customer service, huge stock, massive sales, quick shipping and also an awesome used gear department. You will most likely be able to take off with any drone you buy without “losing time” on reading the manual, but what if you find yourself in a “situation” while flying the drone, and you have no idea what to do next? What if, for example, your DJI Phantom drone is too far away for you to see where it’s turned to and RC signal is low, as well as your battery level. If you don’t know about “return to home” features, or “Home Lock” flight modes, you may get screwed. So, read the freaking manual! My first flight lasted about 5 terrifying seconds, and resulted in a drone crash, a broken propeller and huge embarrassment. I took it outside our office building, put it on a pavement and took of at an altitude of maybe a foot. It immediately started drifting to the right side, towards someones parked, shiny, new, expensive car. I decided it’s probably less expensive to pay for a new drone, than for this guy’s paint job, so I crashed it to the ground. It flipped, and pieces of white plastic “exploded” everywhere. I thought I screwed the drone up, but thank God, it was just a broken propeller, it could have gone much worse. Apparently, our building generates very strong EM interference which screws with Phantoms compas, and I did not read the freaking manual, and left my controller in fully manual mode in which the drone ignores GPS altogether. Hence, I strongly suggest you go to the park, or a meadow, or something similar. This way you’ll less likely crash the drone into someone’s property or a body part, you’ll have more maneuver space, and it’s less likely you’ll break parts of your drone if you’re still not very good at landing it. Spare parts for today’s drones are not expensive so it’s better to stock up upfront, than to wait for parts to arrive if you order once you already need them. Above all, stock up on spare propellers. Pair of Phantom 3 propellers cost only $6. Beside propellers, I recommend buying at least one spare battery, and maybe a spare motor. This one’s important. For God’s sake, don’t spy on your neighbor’s daughter!